‘Spider-Man: Into the Spider-Verse’ is showing at Colombo City Centre Scope Cinemas and Liberty Cinema from 14 December. ‘Spider-Man: Into the Spider-Verse’ is a 2018 American computer-animated superhero film based on the Marvel Comics character Miles Morales/Spider-Man, produced by Columbia Pictures and Sony Pictures Animation in association with Marvel, and distributed by Sony Pictures Releasing. Plot summary: Miles Morales comes across the long-dead Peter Parker. This Peter Parker is not from his world though; he’s from somewhere else in the multiverse. 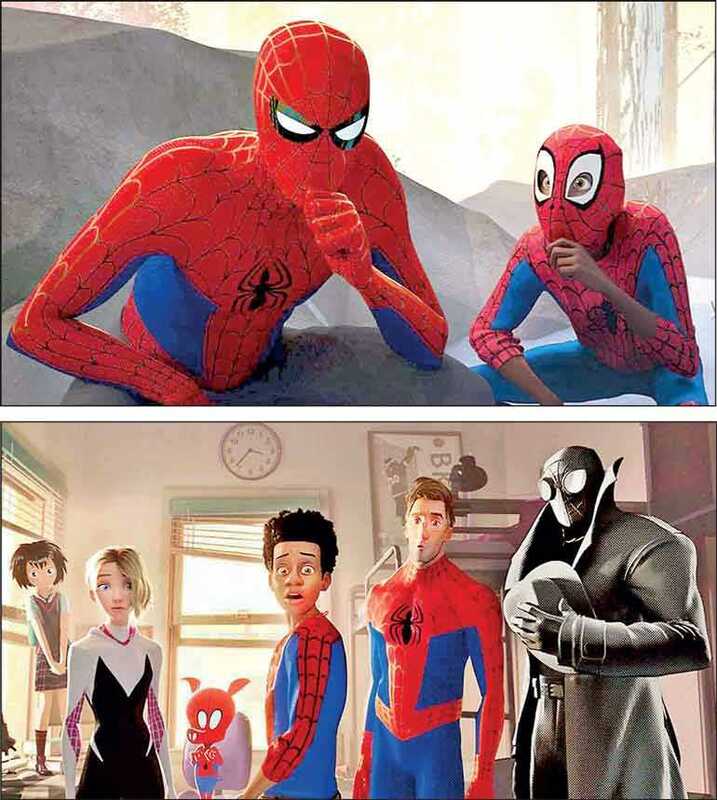 With Parker’s guidance, Miles will become Spider-Man: and through that he will become part of the ever-expanding ‘Spider-Verse’. Starring: Shameik Moore as Miles Morales/Spider-Man; Hailee Steinfeld as Gwen Stacy/Spider-Woman; Mahershala Ali as Aaron Davis/Prowler: Miles’ uncle; Jake Johnson as Peter B. Parker/Spider-Man; Liev Schreiber as Wilson Fisk/Kingpin: A crime lord; Brian Tyree Henry as Jefferson Davis; Luna Lauren Velez as Rio Morales: Miles’ mother; Lily Tomlin as May Parker: Peter’s aunt.